Would you ever turn down a chance to increase conversions? Even if you’re perfectly content with your current lead conversion rate, there’s always room for improvement. Whether you want to increase your revenue or grow your customer base, the benefits of improving your conversion rate are clear. The best part? Depending on your goals and resources, you can start with a small-scale, low-cost initiative and still see results. 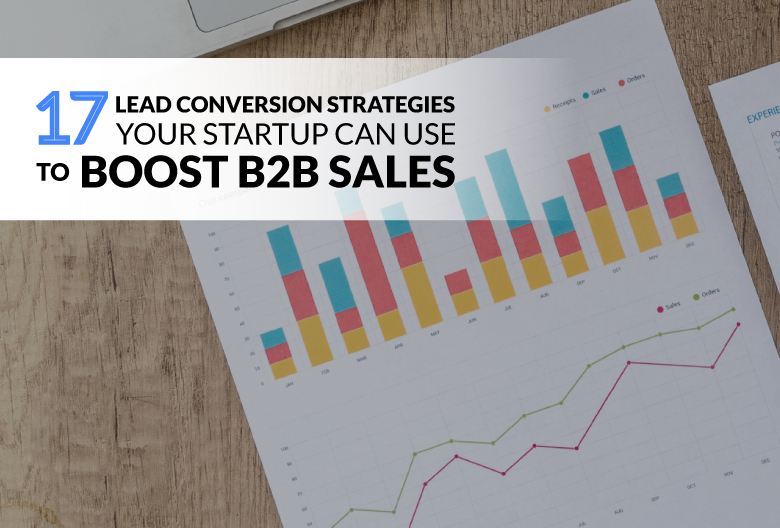 This is especially true for burgeoning startups, since a minor change that increases your conversions by, say, 2%, could be effectively doubling your success rate. Ready to turn more opportunities into closed-won deals? Try out a few of these strategies to boost your conversion rate. First things first: you need to know your conversion rate. And no, guesstimating isn’t good enough. Measuring your conversion rate is the first step to improving it. So, how many of your prospects turn into paying customers? What percentage of leads result in a sale? Tracking conversions helps you find the best ways to optimize your sales funnel. It shows you where your customers are coming from and which strategies are most effective at targeting sales qualified leads. So, study the data to figure out where your best prospects are coming from – and then double down on capturing leads from your most profitable sources. Take a closer look at your team’s sales process. Break it down step-by-step and look for strengths and weaknesses at every stage. This can reveal which actions result in the most high-value deals as well as reveal what your best reps are doing well so other can try to replicate it. Taking control of the sales cycle allows you to tweak each step to cater to your targets needs and desires, thereby optimizing conversions. 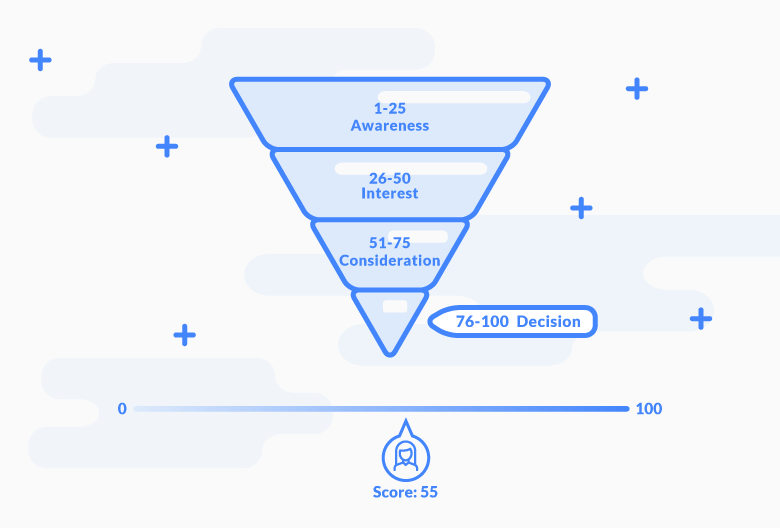 The more time you spend pitching to the wrong prospects, the less time you have left to dedicate to qualified leads – which means your overall conversion rate will suffer. To find prospects who actually want to purchase what your selling, your sales team should collaborate with your marketers to fine-tune your messaging. This will allow your team to attract leads who are truly interested in and capable of buying what you’re offering right now. The ability to accurately identify more qualified leads means more successful conversions. That’s why you should use a lead scoring system to quantify how likely a lead is to make a purchase in the near future. 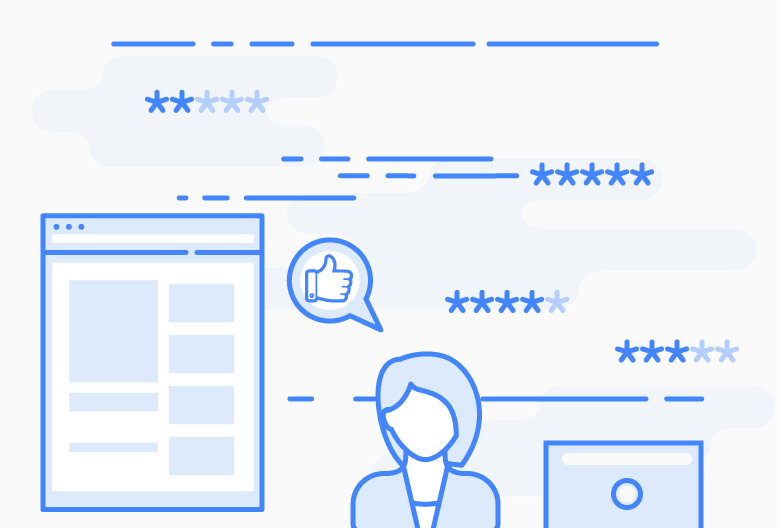 Assigning numerical values to different actions – like social engagement and download history – and firmographic factors – like company size, industry, and job title – allows you to better gauge readiness to buy. This means you can qualify leads and ensure they’re placed in the appropriate funnel and served relevant content. For example, a lead with a low score might be deemed a marketing-qualified lead, while a lead with a higher score might be ready to be passed on to a quota-carrying sales rep. If you don’t have a clear picture of who you ideal customer is, you’ll have a hard time attracting them to your brand. Use the ICP framework to better understand your customers so you can find more high-quality leads, make more sales, and land long-term customers. The framework also helps you identify customers who are most likely to become advocates and provide valuable referrals down the road. Once you know who your ideal customers are, you should reach out to your top customers to get feedback and find out more about their buying process. Where did they hear about your products? What convinced them to make their first purchase? What type of research did they conduct prior to purchasing? What major pain points does your solution address? Whether you decide to follow the entire ICP framework or not, do spend some time interviewing your most successful customers. Their responses will reveal valuable insights you can use to target high-quality leads. You probably plan your pitch ahead of time – but do you plan out your meetings with the same level of precision? Setting a meeting agenda is a ridiculously simple change you can make to increase lead conversions. Following an agenda not only allows you to use your time more efficiently and keep your talking points organized, but it also sets your prospects’ expectations and makes a great impression on potential customers. 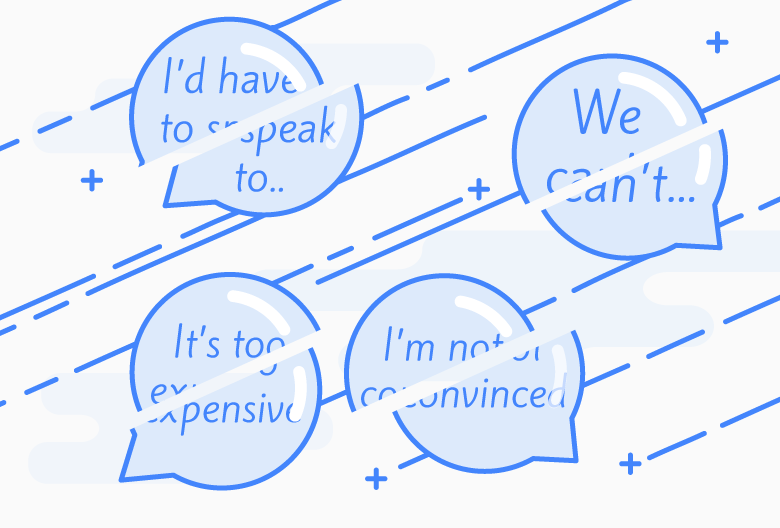 One way to win over more prospects is to learn the best responses to common sales objections – and teach them to everyone on your team, too. Whether your lead doesn’t think your product is the right fit or they claim to not have the budget or buying power, you can reframe their objections as roadblocks that you can work through together. Remember, objections are not rejections – especially if you are prepared to address them. The goal is to either close the sale or move the prospect closer to making a decision by keeping the dialogue open. Another way to increase your odds of wooing a prospect is to polish your sales demo. Your presentation should be persuasive and informative while engaging your audience. To prevent your pitch from turning into a monologue, encourage your prospects to ask questions and try to keep an open dialogue throughout the demo. Use storytelling techniques to really connect with your audience. When possible, incorporate visuals that support what you’re saying. Not only does this help drive your point home, but it also makes it more memorable. The more comfortable you are talking on the phone, the quicker you’ll be able to build rapport and put your prospects at ease. For a typical sales call, you should a have a script but have enough information about the prospect to extemporize naturally. Since these conversations influence a customer’s perception of you and your brand, perfecting your phone manner allows you to offer better customer experiences, build stronger relationships, and communicate clearly. Another way to build better relationships with potential customers is to make each prospect feel valued. This isn’t rocket science. Everyone likes to feel special – and thoughtful customer service, patience, and gratitude can go a long way. Something as simple as referencing a specific detail from a past conversation will show your prospect that you truly listen to them and remember what they say. The better your prospects feels when they chat with you, the better they’ll feel about purchasing from your business. Part of expressing respect for your prospect is only reaching out to them via their preferred method of communication. For example, do customers and prospects prefer that you email, phone, text, video chat, or meet in person when possible? 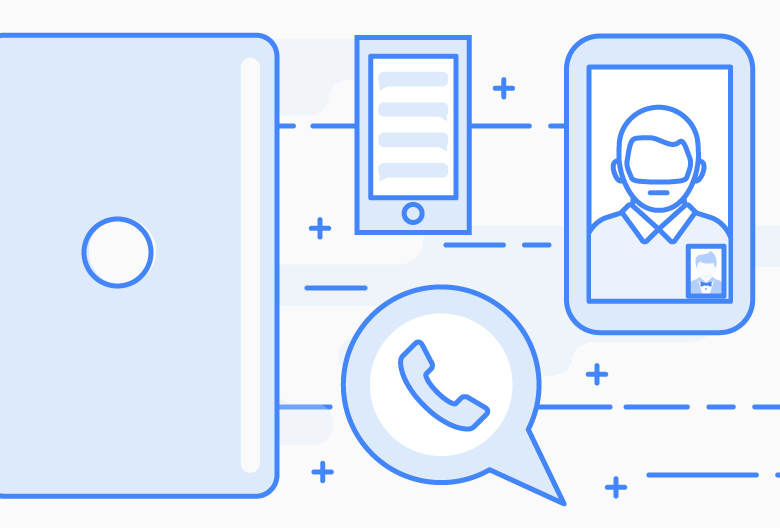 While phone calls and email messages are often the main points of contact for leads and customers, it’s worthwhile to find out what your prospect prefers. Simply ask them how they’d like to be contacted and then record their answer in your CRM so the information is already readily available. Make sure your prospect understands why they should purchase your solution. Clearly highlight your unique selling point and emphasize any competitive advantage your product offers over top contenders. In particular, mention any benefits to buying sooner rather than later. For example, if there’s a limited time offer or pricing will be going up for new customers once you scale. High-quality content can attract relevant traffic to your site as well as provide the details and answers a buyer might want to know before they make a purchase. But before you can create great content, you need to know who your target audience is. Refer to your ICP framework and develop buyer personas to help you decide what type of content would resonate best with your readers. Create blog with a clear goal and reader in mind. Everything you publish on your blog should be informative, relevant, and valuable to a specific cohort of prospects or customers. Are you asking the right questions when someone downloads your gated content? Of course, asking for their email, name, and company name is a given. If you’re able to capture more data, like their job title, company size, and industry, you can get a better idea of their buying power and interest level. You should also look at the piece of content they’re downloading to point to whether they are ready to buy or just browsing. Depending on what stage they’re at in the buying process, you might want to place them in a drip campaign or set up a sales call. Customer testimonials, reviews, and recommendations are some of the most powerful tools in your sales arsenal. Any form of positive social proof can boost your conversion rate by addressing some of the doubt that may be holding a prospect back. If you want existing customers to say nice things about your company in an online review or on social media, don’t be afraid to ask them! Most happy customers are more than willing to leave reviews. You can take this one step further by interviewing your most successful customers and writing case studies about experience with your product or service. You already know that following up is absolutely critical to making a sale. What you might not know is that most sales reps don’t follow-up enough times to close the deal. The importance of following up cannot be overstated: a whopping 80% of sales require five follow-ups to close successfully. Unfortunately, less than half – 44% to be exact – of salespeople give up after just one follow-up. What does this riveting sales statistic mean for you? By following up more consistently, you might just find yourself among the 8% of sales reps who are getting 80% of all sales.